Cardholders will be able to add their Discover cards to Google Wallet using a simple “click-to-add” process, via the card issuer’s online account centre, their Google account online or the Google Wallet app on their Android NFC phone. 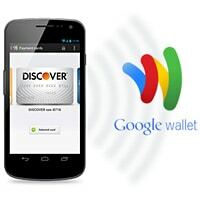 Discover has announced that it is partnering with Google to allow cardmembers to save their credit card directly into Google Wallet. Cardholders can add their Discover card to Google Wallet via the Google Wallet mobile application on their smartphone, by adding their card through their Google account online or by visiting a dedicated page on Discover’s online account centre. There, once logged in, a “click-to-add” process allows cardmembers to add their Discover card — and opt to make it their primary credit card in the Google Wallet. The credit card will then “automatically sync to the Google Wallet application”, says Discover.